If you want your business to be the go-to business in your area for whatever product or service you provide, then read “Small Business Owner's Guide to Local Lead Generation”. There are numerous methods available to market a business, and it is vital that you get it right. Your strategy and the content used are the key components. Make sure that you have these nailed to gain the edge over your competitors! Whatever form of marketing you use in your business, if the content and strategy used are wide of the mark, you are likely to be wasting time, money, and effort. “Small Business Owner’s Guide To Local Lead Generation: Proven Strategies & Tips To Grow Your Business!” serves as a guide to the correct strategies to employ. It details the type of content and marketing methods you should consider depending on the type of business and the demographics of your target customer base. Tactics that will not only put you ahead of the local competition, but will help you compete with the larger companies with more money to spend. 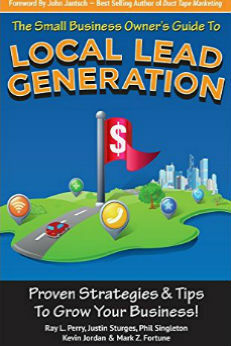 What is the “Guide to Local Lead Generation” About? With so many things to organize when first starting out in business, it is easy to neglect to spend enough time on creating a sound marketing strategy. Often a quick fire marketing effort is thrown together with no thought of the demographics of the ideal client that the business wants to attract. New businesses are likely to simply throw up a website, spend money on signage, and maybe put an ad or two in the local paper. 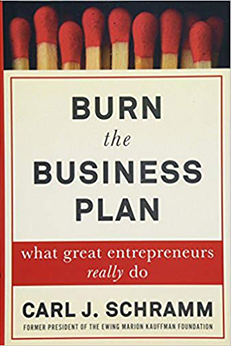 Such a hit-or-miss approach may help explain the reason why so many businesses fail in the first two years. “Small Business Owner’s Guide to Local Lead Generation” aims to educate owners of small businesses to the fact that regardless of size and budget, a sound marketing strategy is what is needed to win the day. But to come up with a strategy, you must first identify what it is that you are able to offer and then identify the people who would be your ideal clients. Throughout the book, the authors include case studies from businesses they have helped using the marketing strategies discussed. 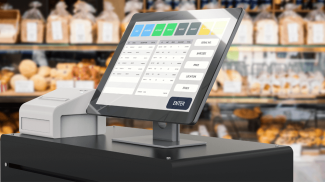 A variety of different types of businesses are mentioned, and the techniques used to help them improve are quite varied. Different tactics are suggested including the use of directory marketing, direct mail, events and sponsorship, online review sites, Facebook and, of course, a website for the business. SEO and SEM are covered in quite some depth, although to cover such topics fully would require a whole book just on these two topics. However, more than just the basics are covered. “Guide to Local Lead Generation” also discusses the need to measure and analyze the successes and failures of the various marketing tactics used, and the ways to do this are also covered. “Small Business Owner’s Guide to Local Lead Generation” is an easy to read and easy to understand book on how to market a small business. As well as making the reader aware of the various tools and techniques that can be used to market a small business, it also highlights some critical points that a business owner should understand. The quality of the content used in the marketing material is a top priority. There is now so much content being heaped upon consumers that it must really stand out to be even looked at or considered. While the “Small Business Owner’s Guide to Local Lead Generation” is fairly concise, it does contain much valuable information for those unsure of just where to start and what to concentrate on first. Of particular use may be the methods described for reuse of quality content. 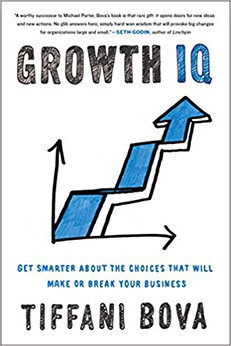 Additionally, the book contains useful references and links which provide further information and tools small business owners can use to further their marketing efforts. I was happy to see that not much of the “Small Business Owner’s Guide to Local Lead Generation” was taken up describing all the social media platforms available. Instead, the authors focused on the more traditional, and sometimes less frequently used marketing methods. When discussing the importance of a well designed and functioning website, both SEO and SEM were discussed. However, due to the intricate nature of the subject, perhaps a little less should have been included regarding SEO and SEM tactics. As alluded to by the authors, it is something that you need to fully understand, and less might have been enough in the context of this book. Starting a small business is both an exciting and scary time. You want to succeed, but that means getting customers in the door in order to get products flying off the shelves. It does not matter how well trained your staff is or how good your products are. The initial problem that all businesses face is how to make the consumer aware of the goods or services that they provide. “Small Business Owner’s Guide to Local Lead Generation” is an ideal starting point for those looking to market their business in the most effective way. It explains the strategies and techniques that will aid any business owner in creating and maintain an effective marketing strategy. Furthermore, it has been written in such a way that it can be used as a reference book, enabling you to expand on your marketing methods once your existing methods are established and working. As well as having their own businesses, each of the five authors is a Duct Tape Marketing Consultant. Duct Tape Marketing helps small businesses to market their brands in a variety of ways. Mark Z. Fortune (@FortuneMktgInc) is the founder of Fortune Marketing; Kevin Jordan (@RMCVirginia) is the owner of Redpoint Marketing Consultants; Ray L. Perry (@raylperry) is the head of MarketBlazer, a technology based marketing agency; Phil Singleton (@kcseopro) is founder of The Kansas City Marketing Agency; and Justin Sturges (@justinsturges) is the President and Principal Marketing Consultant for Systemadik.